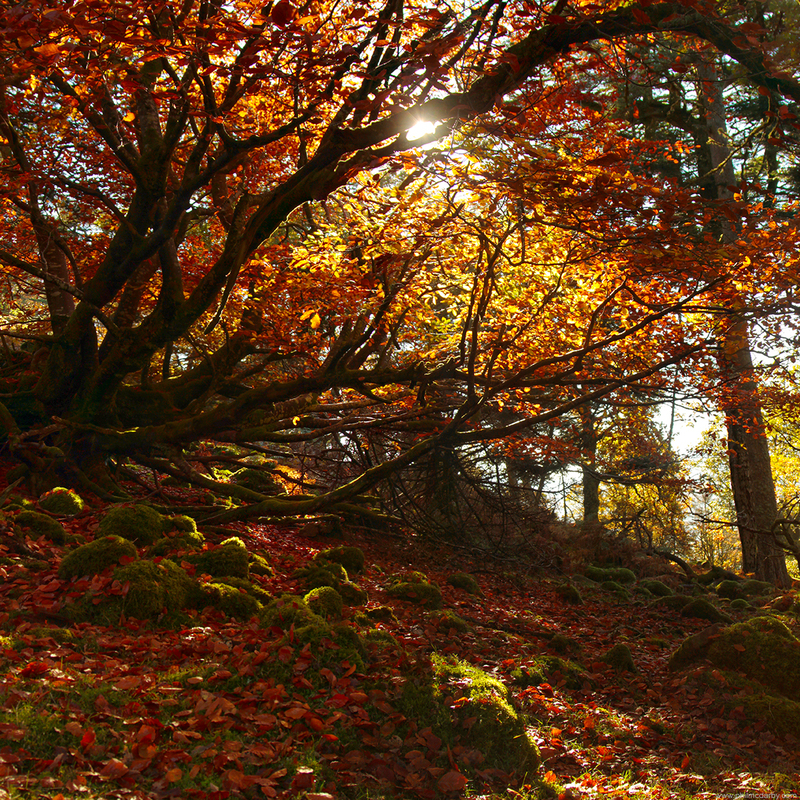 The ancient forest above Lough Teagh is breathtaking all year round – but to catch it in early November in blazing sunshine, probably days before the last leaves fell, felt pretty special. The whole forest was blood red and deep orange, leaves shining in sunlight. Love this place.